William has been in the papers! 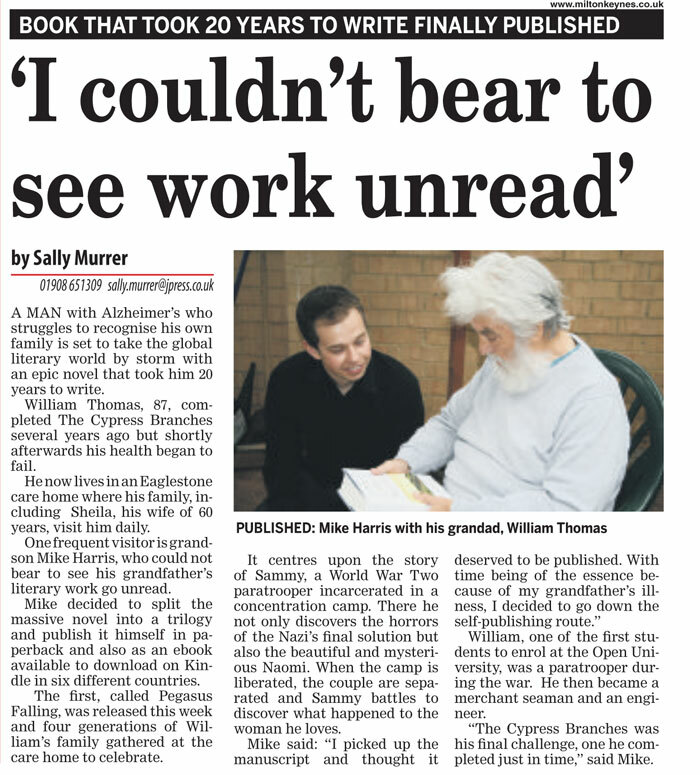 On 5th April, the Milton Keynes Citizen ran a feature on William and Pegasus Falling. Sally Murrer wrote a lovely piece which ran on the inside cover (much to our shock and excitement!). We’d like to extend our thanks to Sally for writing such a lovely piece for us. The article also appeared on the MK Citizen’s website – www.miltonkeynes.co.uk – and you can read the article online here. And thanks should also go to Rachel, who attended the book launch, for her very touching comment after the article. I’m glad to hear you’re enjoying the book, Rachel! We’re hoping for a lot more media coverage over the coming weeks and months, so keep a look out.